In almost every company, the potentially utilizable data is inaccessible; it was revealed in a study that 2/3rd of businesses either have little or no benefit from their data. The data remains locked in legacy systems, isolated silos, or scarcely used applications. Few people process ETL through programming in Java or SQL, but there are other tools available to make this process simple such as Talend. 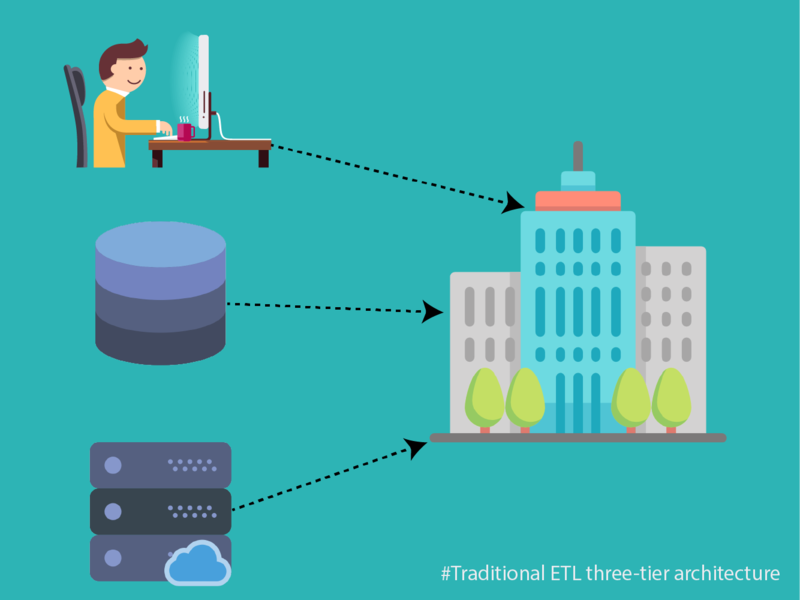 Let’s further discuss what actually ETL approach is and what impact it has on Talend. ETL is the abbreviation of Extract, Transform and Load. It extracts the data from different sources and converts it into a understandable format. This data is used for storing in a database and used for future reference. Extract involves the process of reading the data from a particular database which is collected from multiple sources. There are many storage systems where the data can be stored, some of them are XML files, Flat files, Relational Database management systems(RDBMS), etc. 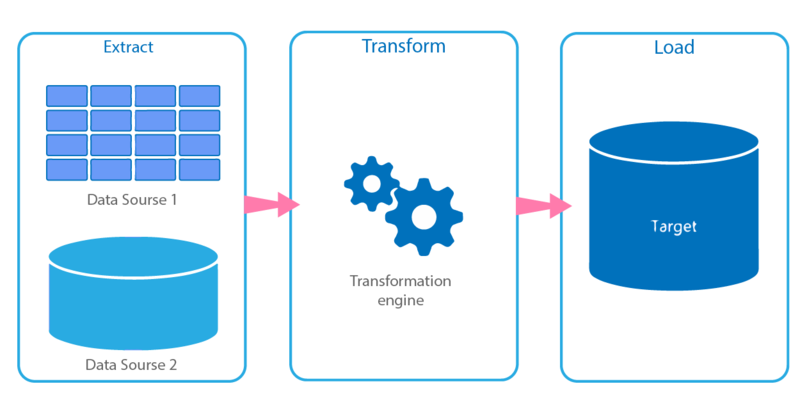 Transform converts the extracted data from its initial format to the required format. The various methods used for transforming the data are filtering, sorting, conversion, removing the duplicates and translating. Load is the final step of the ETL process which writes the data into the target database. MindMajix Talend Training course is designed to make you an expert in developing ETL solutions using Talend platform. Start Learning! The data from multiple sources is extracted and this data is further copied to the existing data warehouse. When handling huge volumes of data and many source systems, the data is combined into a single data store. ETL is used to transfer data from an existing database to another database, This is the only process involved in loading the data to and from data warehouses and data marts. One of the big trends over the last few years is to have ETL delivered in the cloud. The question is that, how does ETL work on cloud-based architecture when the data is often on-premise? If the data is on-premise then the data processing is on-premise, likewise if the data is in an off-site then the data processing should be in an off-site data center. All these three layers are designed to work within the four walls of your organization. To cloud enable these platforms in an on-premise scenario, the two functions of user interface and metadata repository are taken to the cloud. However the processing engine stayed on-premise, so when the processing engine was suppose to operate, it would receive the appropriate commands and information from the cloud metadata repository. The processing engine would run that data movement routine on-premise, this allows the data to live where it natively is rather than requiring all the data to move to the cloud. When something needs to be run in the cloud then another engine in the cloud would run that data. The storage and design of the ETL movement are hosted by the cloud ETL vendor but the engine that processes the commands can sit in multiple locations. The process of merging data from various sources into a single view is known as data integration. Starting from mapping, ingestion, cleansing and transforming to a destination sink, and making data valuable and actionable for the individual who access it. Talend offers strong data integration tools for performing ETL processes. As the data integration is complex and slow process, talend solves the problem by completing the integration jobs 10x faster than manual programming with a very low cost. Talend open source data integration. The most powerful open-source data integration tool available in the market is talend open studio. This ETL tool helps you to effortlessly manage various steps involved in an ETL process, starting from the basic design of the ETL till the execution of ETL data load. Talend open studio is based on graphical user interface using which you can simply map data between the source and target areas. All you need to do is selecting the required components from the palette and placing them into the workspace. It also offers you with a metadata repository from where you can simply reuse and repurpose the work; this process will help you increase the productivity and efficiency over time. ETL tool is very easy to use as the tool itself identifies data sources and the rules for extracting and data processing. This process eliminates the need of manual programming methods, where you are required to write the code and procedures. To represent the visual flow of the logic, GUI is required. The ETL tools are based on Graphical User Interface which enables you to specify instructions using a drag-drop method to represent the data flow in a process. Most of the data warehouses are delicate and many operational problems arise. To reduce these problems ETL tools possess in-built debugging functionality which enables data engineers to build on the features of an ETL tool to develop a well-structured ETL system. Moving large volumes of data and transferring them in batches becomes easier with the help of ETL tools. These tools handle complex rules and transformations and assist you with the string manipulations, calculations and data changes. ETL tools are equipped with advanced cleansing functions when compared with ones present in SQL. These functions serve to the requirements of complex transformations which usually occur in a complex data warehouse. The overall structure of an ETL system minimizes the efforts in building an advanced data warehousing system. Additionally, many ETL tools emerge with performance improving technologies like Massively Parallel Processing, Cluster Awareness and Symmetric Multi-Processing. ETL tools allow organizations to make their data meaningful, accessible and usable across diverse data systems. Choosing a right ETL tool is crucial and complex as there are many tools available. Similar to other aspects of software infrastructure, ETL has a huge demand for open source tools and projects. These open-source tools are created for maintaining scheduled workflows and batch processes. With most of the data moving to the cloud, Many cloud related ETL services started to evolve. Few of them stick to the basic batch model while others start to offer intelligent schema detection, real-time support and more. Performing your ETL in the mode of batches makes sense only when you are not in need of real-time data. This batch process works better for tax calculations and salary reporting. Although, all the modern applications need a real-time data access from various sources. For instance when you upload an image to Instagram account, you want your friends to notice it immediately, not a day later. Almost every ETL tool in the world is based on batch processing and on-premise. In the past, most of the organizations used to utilize their database resources and free compute to perform overnight batch processing of ETL jobs and consolidating data during off-hours. Explore Talend Sample Resumes! Download & Edit, Get Noticed by Top Employers! Download Now! Every day the organizations get huge volumes of data through enquiries, emails and service requests. For an organization, it becomes a priority task to handle the data efficiently to ensure success. The future of the organization depends on how well they handle the data to maintain healthy customer relationship. Managing data becomes easier with the help of ETL tools which improve data processing and increase productivity. Most desired job profiles related to Talend are Talend ETL developer, Talend developer and Talend Admin. There are many job profiles available in the domain of talend as it is a rewarding career path and has best opportunities in Big Data. There is a great demand for job aspirants with ETL skills due to the need of large data handling efficiency. According to Ziprecruiter website the average salary quoted for a Talend ETL developer in USA is $126,544 per year.